I've certainly been enjoying the relaxed schedule of Christmas vacation week here at home. I got some super good news yesterday which I promised to share with you, so here it is...grades were posted and I finished my first semester of college with a GPA of 4.0 in all four of the classes I took! Woo hoo! I'm hoping I can keep that up this coming semester as well! 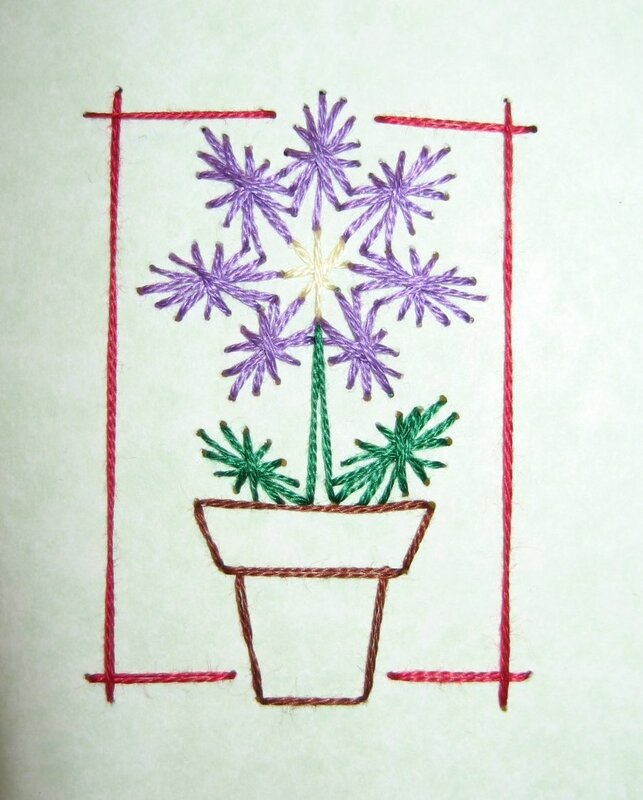 This design is part of a 4-panel design that I purchased from Stitching Cards. They have loads of fabulous designs for all occasions so it was hard to narrow my choice down to this one design! 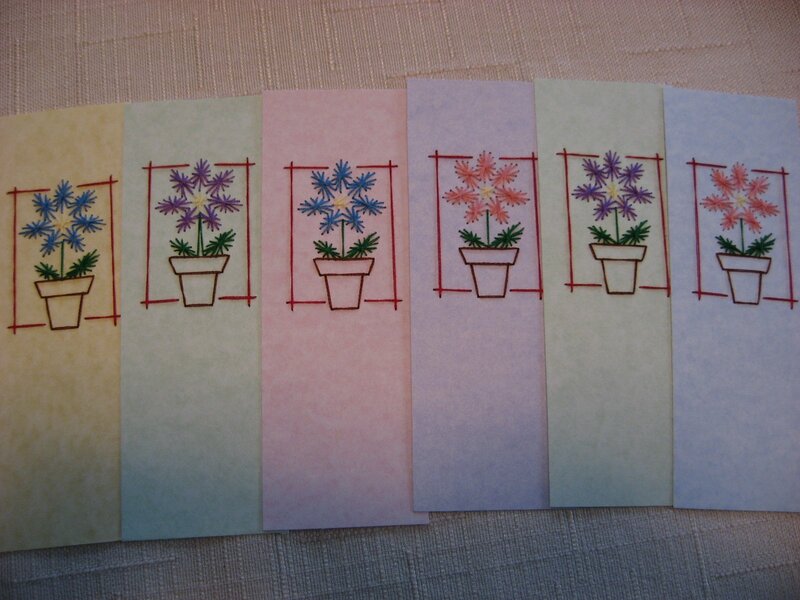 I am repeating this same design, only changing the flower petal color and the frame color for variety. 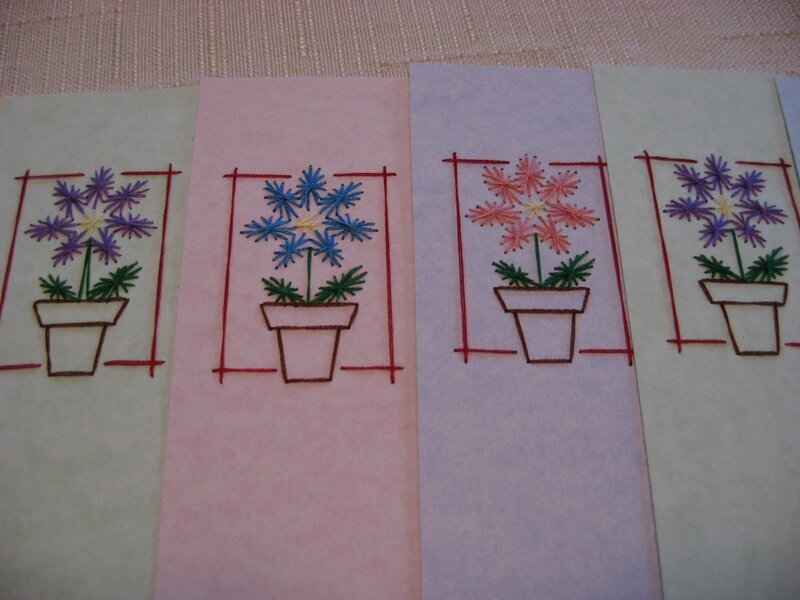 The card stock I am using is also several different colors. Can you guess what the finished product will be? 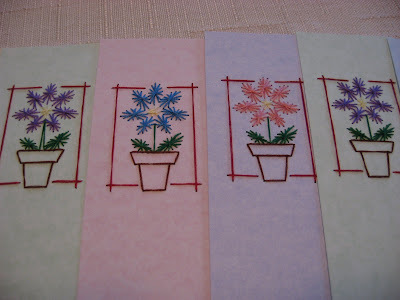 I think I need to make about 30 of these lovely little things. I'll keep you updated on my progress and by the time the finished item is revealed, I'm sure you will have already guessed it! 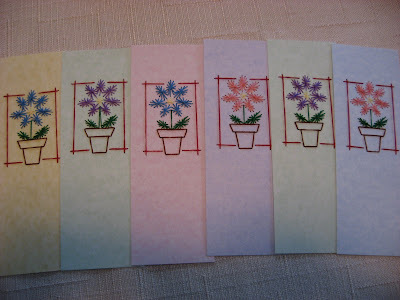 Are you doing any end-of-year stitching? Or are you spending the last week of 2012 planning your 2013 projects? Congrats to you Mary Grace - what a wonderful feeling this must be!!! Happy New Year to you and your family. Wooohooo Congrats on your grades friend!! i love the card stock embroidery designs! I am working on an embroidery project with the word "faithfulness" and many pretty vines of pears wrapped around it. I got it from a blog called Raising Homemakers. Also working on some cathedral blocks that will be made into a table runner for a very late Christmas present tomy MIL! Very cute, I'm guessing book marks? No sewing since Christmas, but I hope to get to my machine by Wednesday. Wow this is so nice...you can framer them individually and can use as photo for wall hanging. very nice post. Congrats Mary Grace. love the paper embroidery.